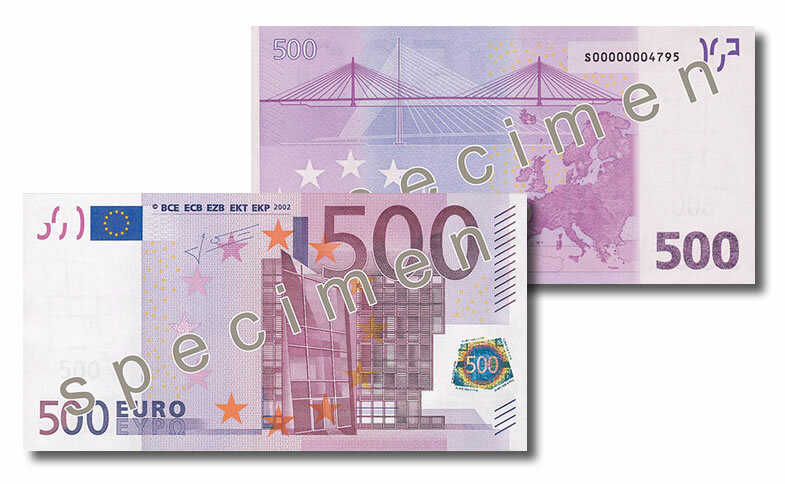 The European Central Bank (ECB) announced on May 4 that it will stop printing and issuing €500 banknotes. The phase out will begin around the end of 2018, according to the ECB, when the €100 and €200 banknotes of the Europa series are planned to be introduced. Some call the note a "Bin Laden," as it is reportedly favored among money launderers, drug dealers and terrorists. They are more readily available than other high currency banknotes, easily cashed, and are handier for criminals to store and transfer large sums of money. "There is a pervasive and increasing conviction in the world of public opinion that high denomination banknotes are used for criminal purposes," ECB president Mario Draghi said earlier in the year. 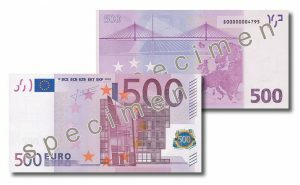 Europol, which is the European Union’s top law enforcement agency, said that cash is still the "instrument of choice" for money laundering and that the "€500 note alone accounts for over 30% of the value of all banknotes in circulation, despite it not being a common means of payment." The ECB reported in March that there were approximately 594,417,006 €500 banknotes in circulation, which is about €297.2 billion. They have been in circulation since 2002. Today, one is worth about US $560. Even after the phase out, the ECB said that €500 banknotes will remain legal tender. They will keep their value in transactions and continue to be exchangeable at Eurozone central banks for an unlimited period of time. It is unbelievable that this high denomination banknote has been in circulation & printed since the European Union began in 2002. The criminals love it best for money laundering. $1 million dollars worth of this note weighs only 5.5 pounds & could fit in a small ladies handbag or a small briefcase. Why in heck did it take so long to figure out the obvious misuse of this banknote with a face value of about $570. The USA hasn’t had a banknote of more than $100 in many decades for this same reason. Duh! So now people will just start using the 1,000 swiss franc banknotes, instead, which are worth about $1,008 USD. Yes, what you said likely true. But, there are many ways to launder money. Perhaps, the real reason is that it takes less space “under the mattress” for the bigger notes and they are afraid the people with wake up to their folly/ “fraud” of negative interest rates.